A recent food safety audit gave a Tarleton dining facility an overall rating of 93.5 out of a 100, but also found a few problems. The inspector cited the facility for gaps in doors, build-ups on the floor and rust on the ceiling, according to records obtained under the Texas Public Information Act. 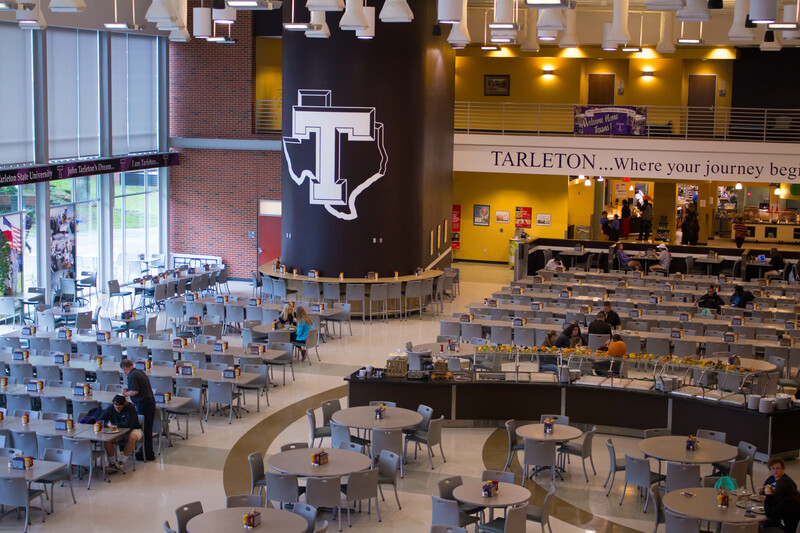 Over the course of two semesters, not including summer meal plans, Tarleton State University serves about half a million meals to students, faculty and staff. Tarleton’s dining services are inspected every two years and once a year for internal inspections. Both inspections were done at random. “Non-compliance means a firm is out of compliance and is marked for a violation of a specific rules, where as in compliance means the firm does not have a violation of a rule and is not marked for a violation,” Mantia said. “The risk category is based on the relative risks a food establishment poses for an incidence of foodborne illness to occur,” Mantia said. Eco Sure conducted the internal food safety audit and a health and safety all food services and leisure audit inspection on Sodexo on March 17, 2016. Eco Sure is a business that provides onsite evaluations and training to help maintain the highest standards of safety. Sodexo is Tarleton’s contractor for dining services. Sections such as cooling potentially hazardous foods, cleaning non-food contact surfaces and pest control, hazard analysis and critical control points (HACCP) recordkeeping and general observations – good retail practices- were reviewed during the inspection. The health and safety all food services and leisure audit received an overall score of 98 out of 100 with an “in-compliance” status. Sections such as safety training and fleet/vehicle safety were reviewed. General comments on the report by the inspector said Tarleton was missing the annual accident prevention review for several employees and missing one driver for distracted driving training and backing accidents training. The Texas Department of State Health Services also conducted three retail food establishment inspections on Aug. 30. The report included the date, time, license/permit number, establishment type, risk category, purpose for the inspection, name of the establishment, contact/owner name, location and the total score. The first routine inspection was on 1451 W. Jones St. in the Thompson Student Center’s Texan Star Food Court with an overall “in-compliance” status for priority items, priority foundation items, and core items. The risk category for this location was not mentioned in the score, but the total/score for the inspection was a five out of a 100. There were five items out of 100 that were “out-of-compliance” during the inspection.